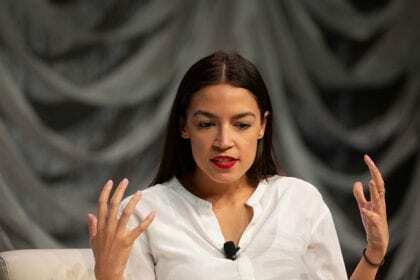 Alexandria Ocasio-Cortez (AOC), during a talk at SXSW, was addressed by a tech entrepreneur with a question about automation (how should we act as a society and how will we be able to find a purpose in life as jobs are appropriate by machines). AOC’s answer placed automation in the broader context of socio-economic inequality: automation is not the problem, and we shouldn’t be haunted by its specter, but rather be excited about it. The problem, AOC states, is that “(…) we live in a society where if you don’t have a job you are left to die (…)”. The risk is in the reinforcement of the trends that are already occurring with the “automation of injustice”. Automation accelerates economic inequality, she says, and we should be concerned about fixing the current socio-economic system: we are at the most prosperous time in our history, but many are left behind, thus it is imperative for us to figure out new ways to administrate wealth. While AOC did not address Universal Basic Income (UBI) directly, her view on the matter seems compatible with those seeing it as the necessary answer to the fourth industrial revolution. Whether the solution is “taxing robots” as proposed by Bill Gates (which AOC considers a clever, acceptable way to suggest taxing corporations), higher tax rates on top income brackets, or some form of wealth redistribution, we need to entertain ideas that would leave us with the possibility to siphon off the benefits brought by automation. It could give us the potential to focus more on studying, inventing and creating art: “Not all creativity should be bound by wage,” she says. By entering a time in which scarcity is no longer the only reality known to man, and with capitalism being based on scarcity, “our technological advancement as a society has outpaced our system for handling finite resources”, AOC states. Adi Robertson, Alexandria Ocasio-Cortez says ‘we should be excited about automation’, The Verge, March 10th 2019. One key aspect of UBIi is personal responsibility. Below are some ideas around that. Not the all to be all, just some ideas. Many corporations who self-fund their health insurance were a million or more dollars behind. They bonused and included meaningful incentives to the sick & overweight to change diets & exercise, & in 1 year their self-insurance funds had huge $surpluses. Democracy and entitlements DO require certain levels of personal responsibility. The Affordable Care Act leaves power in the hands of private insurance companies. Medicare for All single payer takes power away from those companies and puts it in the hands of a public agency that is “accountable”’ to the public. BUT that public agency needs to require personal responsibility for what we stick in our mouths. Reducing prescription drug costs is but a tiny step in the right direction. They treat symptoms not causes. And they CAUSE other illnesses called “side effects”’. THE PROJECTED TOTAL COST OF CHRONIC DISEASE FROM 2016-2030 IN AMERICA IS $42 TRILLION DOLLARS..
A family of 4 often pays $20,000 annual insurance premiums. What if those premiums were reduced by half or more. The Universal Basic Income or its equivalent should only be used for fundamental, adaptive and illness preventive education. Processed foods including pizza are mostly useless to dangerous. Special interests pay for their proliferation. Adopt a plant based diet to get stay healthy. I wish AOC (or anyone in the basicincome movement for that matter) saw the UBI as a means to make downsizing acceptable, so that we (global humanity) don’t have to descend into the consequences of ecological breakdown.